I was issued explicit instructions by my friend Carly that if Charlaine Harris released any more Sookie Stackhouse books, she didn’t want to know. Not because Carly hadn’t enjoyed them, but precisely because she had. I’d loaned her the first book as part of my regular book-loaning efforts. She thought it was a standalone title until she got to the end. Then I loaned her the next two. She’d thought it was a trilogy and that she’s regain some semblance of a normal sleeping pattern and social life once she finished those. Then I loaned her the next, well, I don’t even know how many. When she returned the towering pile of Sookie books, she was (I think—this is me entirely projecting here) exhausted, exhilarated, sad to see them go, unsure what might replace the reading hole, but slightly relieved that she’d made it to the end. At least, to the end as far as how many books had been published were concerned. Suffice to say, it may have been mightily irresponsible of me to alert her to the fact that Harris is on the continent right now talking about her books and specifically talking about how her 13th and final Sookie Stackhouse book will be released in 2013. Me? I’ve been filling the void and passing the time (not to mention trying to resurrect or re-inspire some of my lost dragons enthusiasm) by getting up to date with Season 5 of True Blood, the HBO seasons based upon Harris’ books. I’m having a love-hate relationship with the season, given its divergence from the books. I realised it’s only based on them and is, through small-screen translation and at the hands of masterful storyteller Alan Ball (AKA he of the American Beauty plastic bag genius), entitled to some creative licence. It’s just that I feel that the areas that he’s embellished or entirely made up are the ones that are the weakest—they feel ‘tacked on’ and I really wish he’d let them go. Case in point: Lafayette and Tara. The former was a bit-part character who ended up dead in a car early on in the books, never to be seen or heard from again. The latter is a sweeter, peripheral character not directly involved in the storylines. At Ball’s hands, the former is not only not dead, he’s being haunted and totally, wearyingly freaked out by weird evil spirity things. The latter is—spoiler alert—dead but is angry, bitter, and commanding fairly central but so-what-inducing storylines. Neither is really working for me (but if you think they’re fine, feel free to let me know). Sookie: This isn’t going to work if you don’t try. Pam: I am wearing a Walmart sweatsuit for y’all. If that isn’t a demonstration of team spirit, I don’t know what is. Club worker: Why are you all dirty? Pam: I was in the ground. What’s your excuse? Sam: Easy now. She just lost her son. [Character whose name I can’t remember]: She just ate her son. [Member of the vampire alliance currently torturing Eric and Bill]: It’s wonderful to be a vampire, is it not? Eric: Generally yes. Right now, not so much. Sookie: Bye. I’m just going to stay here and quietly slip into a coma. Speaking of crashes and comas, I’m off to bed. Happy reading/viewing/sleeping. Douglas Adams famously said that he loves deadlines and, in particular, the sound they make as they fly by. I’m not normally one who hears that whooshing sound, studious and OCD deadline-meeter that I am. But fatigue has gotten the better of me lately—it’s been an extremely big 18 months work-wise—and I’ve been swamped by the never-ending tsunami of deadlines. So, impelled by the complete inability to take any kind of holiday, but clearly driven to go to my happy place, I’ve these past few weeks done the only two mature, rational things possible: retreated to bed to read the entire series of Vampire Academy and then watched (in short succession its entirety) True Blood Season 4. Ah, vampires: aiding procrastination since, well, for a very long time. The weird thing about missing some deadlines is that they do something worse than make a sound—they actually, for the most part, don’t make any sound at all. In fact, once you miss one or two deadlines you actually start to marvel at how no one notices or chases you, how incredible it is that the world doesn’t end, and how an afternoon nap seems like the best idea you’ve ever had. I’d like to say you feel less guilty too, but I haven’t yet tapped that rebel-without-a-cause nonchalance the deadline-missing rule-breakers exude. Instead I’ve been an anxious procrastinator, applying the attention detail I normally apply to completing work to re-reading the series I love but have no need to re-read and watching (and comparing notes on) Season 4 of the adaptation of the Sookie Stackhouse series I’ve read too. Procrastination karma, though, has come in to play. I realised I’d loaned the first three Vampire Academy books to my sister, who lives in Melbourne, only when I went to fish them from my bookcase. I had to re-read the series starting from book four. And, contrary to my hyped-up expectations that this was the season Sookie and Eric went to town on each other (if you’ve read the books, you’ll recall when Eric loses his memory courtesy of the witches—‘nuff said), Season 4 of True Blood completely lost the plot and was a bit of a bore. I realise each of those could be a blessing in disguise. Had I started Vampire Academy from book one, I would seriously be in some deadline and sleep-deprivation trouble. Were True Blood Season 4 outstanding, I would probably be inspired to go back and start re-reading those books too. So we’re back with Charlaine Harris, chatting about her phenomenal bestsellers widely known as the Sookie Stackhouse novels, with her tenth in the series, Dead in the Family, released in Australia this month. Charlaine will be coming to Oz towards the end of September as a special guest at the Hub Productions True Blood events in Sydney and Melbourne. She’ll also be doing an author tour after that, details to be confirmed. To stay up-to-date on the haps, you can check out Hub Productions website, or Charlaine’s website. Ok, cough it up Charlaine – where do you get the inspiration for all the hot love-interest supes (supernaturals)? Are Bill, and Sam and Eric all based on friends of yours? And I warn you that if you answer ‘yes’ be prepared for an invasion of lusty readers to your home town (Bill’s mine, ladies)! Like most love interests in novels, all the men and women have a kernel of truth in them and a lot of fantasy. A rather large perceived difference between most vampire novels out at the moment, and your vampire series, is that the female protagonist usually has to struggle with the temptation of becoming a paranormal being. I can’t see Sookie as a vampire myself, but do you think she could ever be truly tempted? I think health and eternal life are always a bit tempting, but Sookie will never become a vampire. The reader, in a way, has some of Sookie’s telepathic ability because we’re subjected to Sookie’s thoughts, emotions, dreams, weaknesses. 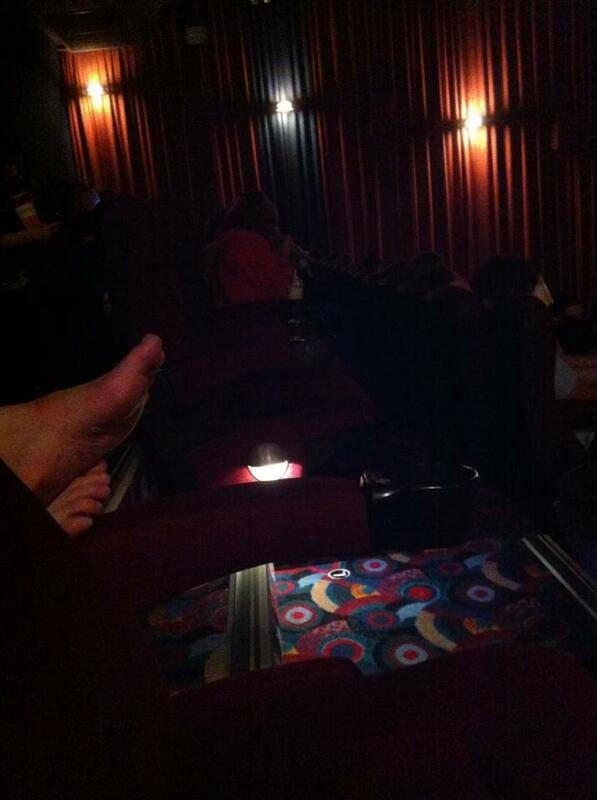 Was there a particular reason you employed this voyeuristic technique? It seemed the best way to tell Sookie’s story. I love knowing her so well. You’ve been writing mysteries for decades, in fact you’ve been writing The Southern Vampire Mysteries series for about ten years or so…any pieces of advice for budding writers? Read, read, read. Write, write, write. That’s the advice so many budding writers can’t seem to follow. I have a whole bookcase beside my bed, and it’s full of things I want to read. What do you think about the whispers around the traps that angels are the new vampires? Will vampires outlive the angel trend, or do you think there’s enough room for both in the supernatural world? First it was zombies, now angels. I think the writers who were just writing vampires because they were current will start writing angels or something else. There’s nothing wrong with that. W e all have to make a living. I’m fortunate enough to be able to write what I want, at least at the moment! And what’s in store for Charlaine Harris after she finishes the Sookie Stackhouse Novels? A trip to some tropical island to soak up the sun (far away from vampires), perhaps? I have no idea. I’ve been writing other books alternately with the Sookie series, and I’m sure I’ll write other things. I love Sookie, so I don’t want to keep writing her if I have nothing to say about her. I’ll stop when I feel that way. Charlaine, thanks so much for taking the time to answer some questions. I think I speak for a huge number of readers when I say we’re all super excited to have you visit our shores, and hope you have an absolutely fabulous time while you’re here in September. And if you get to meet any, I hope our Aussie vampires live up to your standards! I’m sure they’ll be delightful. Actually, you’re right about that Charlaine. A big, mushy thanks to Charlaine Harris, and Hachette Australia for the interview opportunity. 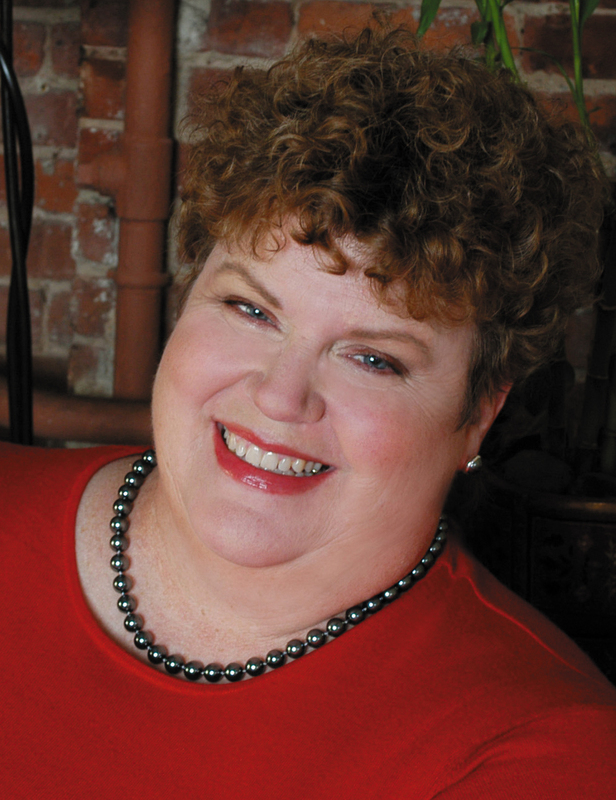 Charlaine Harris is the author of the internationally super-popular Sookie Stackhouse series (formerly known as The Southern Vampires Mysteries): the books behind that AWESOME TV series, True Blood. I cornered Charlaine in one of the dark alleyways of cyberspace to give me the lowdown on all things Sookie. In my world, the vampires are newly-outed legal citizens of the United States (and have come out all over the world). They don’t have all the rights and privileges of human citizens though, which is galling to them. Further on in the series, the Weres (werewolves) also come out, though other supernatural creatures remain in the shadows. Sookie is a telepathic barmaid in a small town in Louisiana , who meets her first vampire when Bill Compton walks into the bar. Sookie’s an unusual protagonist in that she’s not tough by nature, she’s tough through experience! How does she manage to stay so inherently good-natured despite having to kill people? She was brought up right by her grandmother. It’s kept her grounded. So if you lived in Bon Temps, would you and Sookie be friends? What do you guys have in common? We’d be friendly, but not good friends. I’m a lot older than Sookie, and I very seldom drink, so we wouldn’t have much in common at all unless I got to know her at church. I’d like her if we worked together putting on a church pot luck or something. Having grown up there, tell us Aussie readers what it is about the America ’s Deep South that makes the vampires so delicious? I think if you write about any location with love and conviction, you can make it just as interesting and attractive. I’ve almost always lived in the south and I love to write about it from a humorous perspective. What do you really think about the TV show based on the books, True Blood? Some writers are (understandably) precious about their work and don’t like it being changed or interpreted, tell us how you really feel! I love the show. I’d be a fool not to. I think Alan is a genius, and I’m lucky enough to have met many members of the cast and crew. I’ve heard Anne Rice loves watching True Blood. Were you ever a fan of her Vampire Chronicles? You seem to share a love of the Southern Gothic/Grotesque! Anne does love the show. Of course, her vampire novels are icons in the field, and I’ve read them. We approach somewhat the same material from different directions, and that’s worked out for both of us. I’d say it has, Charlaine! Ms Harris will be back for round two later on, so stay tuned to hear her views on whether angels are the new vampires, and what’s in store for Charlaine post-Sookie. In the meantime, you can catch all the latest goss on Sookie, Bill and the rest of the gang at Charlaine’s website.